Doing a CELTA in Egypt is a wonderful idea, especially if you’ve always longed to see some of the country’s wonderful Egyptian ruins and the great pyramids of Giza. 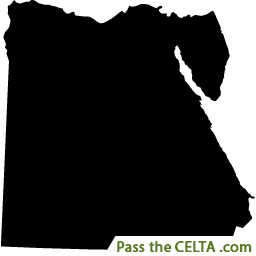 Head to the CELTA centre in Cairo and enroll today to benefit from the professional instruction and real-life teaching practice. Egypt has long been a country of mystery, and while you’re at the CELTA centre in Egypt, you’ll get your own opportunity to unearth ancient secrets, tour the deserts on camelback, enjoy the stunning sunsets over the dunes, venture into the pyramids, and enjoy some of North Africa’s most inviting beach resorts. To make the most of your time studying CELTA in Egypt, make sure you book at least a few more weeks to really travel about the world’s oldest country.